1. Go to Send tab. 2. Key in receiver's address, label for the address, and amount to send. 4. Hit Send, and Yes in the confirmation box. 1. Go to Receive tab. 2. Key in label, amount to receive, and message for the new address. 4. You can now use the newly generated address to receive payment. 2. Select desired destination folder, and key in desired file name. 3. Hit Save to generate backup file. 4. Save the backup file somewhere safe like thumb drive or external hard drive. 2. Go to Control Panel, Uninstall a Program. 3. Find Destocoin in the list, and right click, hit uninstall. 4. Open CMD, and key in %appdata%. 5. Delete Destocoin folder completely. 6. Run Destocoin installer to reinstall. 7. After installation, run Destocoin and hit OK on the popup. 8. After initiation, Destocoin will be open and start syncing, close Destocoin immediately. 8. Open CMD, and key in %appdata%. 10. Copy backup wallet file into Destocoin folder and rename it as wallet.dat. 1. Make sure backup wallet first. 2. Go to Tools, Repair Wallet. 3. Hit Delete local blockchain folders, and hit yes in the popup box. 4. Wait for wallet to sync. 3. Find Destocoin-Qt and delete it. 5. Key in ~/Library/Application Support. And hit Go. 6. Delete Destocoin folder completely. 7. Run Destocoin installer to reinstall. 8. After installation, run Destocoin-Qt and hit OK on the popup. 9. 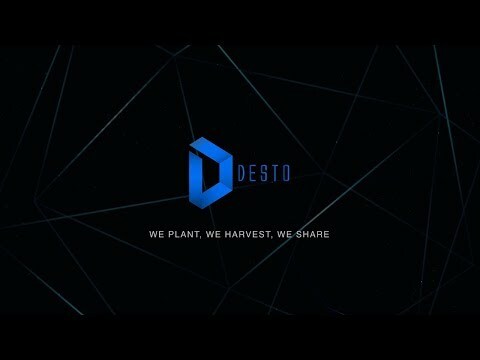 After initiation, Destocoin will be open and start syncing, close Destocoin immediately. 11. Key in ~/Library/Application Support. And hit Go. 13. Copy backup wallet file into Destocoin folder and rename it as wallet.dat.